Frederick Engels died on 5th August 1895 in London but his ashes were scattered into the sea by Marx's daughter, Eleanor Marx Aveling on his instructions. Engels wanted only to be remembered for his partnership with Karl Marx and their practical and theorectical work to build the revolutionary socialist movement. 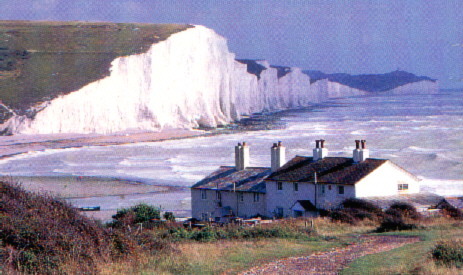 His ashes were cast into the sea at Beachy Head, near Eastbourne, a favourite spot for both Marx and Engels.